President Emmerson Mnangagwa has condemned the violence unleashed on citizens by members of the Zimbabwe Defense Forces and members of the Zimbabwe Republic Police calling it a betrayal of the new Zimbabwe. The President assured the nation that investigations into the operations of the security forces will be conducted and if required some officials will be fired. The President said this in a statement issued on Tuesday morning when he arrived in the country from a round trip to EuroAsia to court investors. "Violence or misconduct by our security forces is unacceptable and a betrayal of the new Zimbabwe." Mnangagwa said. "Chaos and insubordination will not be tolerated. Misconduct will be investigated. If required, heads will roll." Mnangagwa also acknowledged that the violent protests that rocked the country were caused his unpopular announcement of fuel price hikes. "What followed was regrettable and tragic. Everyone has the right to protest, but this was not a peaceful protest. Wanton violence and cynical destruction; looting police stations, stealing guns and uniforms; incitement and threats of violence. This is not the Zimbabwean way." 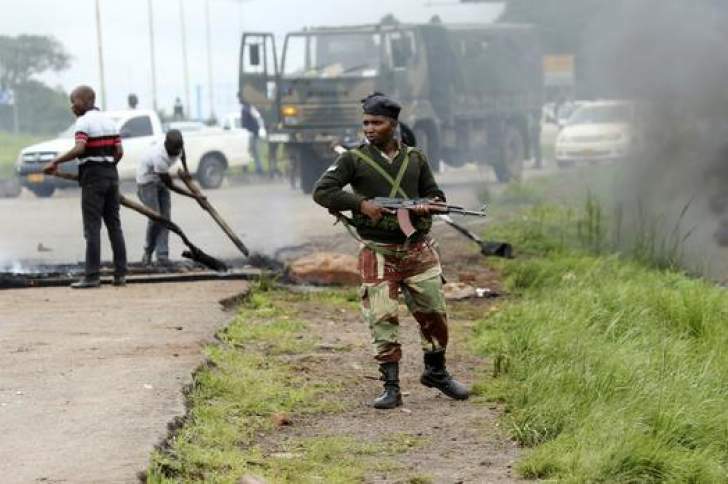 Police and army details have been on an operation to beat, arrest and kill citizens since Tuesday last week after Zimbabwe was rocked with violent protests countrywide. Senior members of opposition including twelve members of parliament and civic society leaders have been arrested for inciting public violence. #ThisFlag leader Evan Mawarire and ZCTU Secretaery General Japhet Moyo have been charged with treason.